With a history of excellence, Julbo pioneers optical solutions for action sport athletes around the globe. Whether you are scaling your favorite rock face, exploring the snowy backcountry, or trekking across rugged glaciers, Julbo builds the eyewear you need for a successful adventure. When it comes to scientifically superior sunglasses and goggles that are conceived through innovation and a passion for the outdoors, Julbo is clearly established at the front of the pack. Julbo has been refining their process and product since before your great grandparents were even born. Nestled into the Jura Mountains in France, three entire generations have guided Julbo’s evolution that began in 1888 as a corrective lens manufacturer, and has transformed them into the producer of protective optical gear for each and every active outdoor venture. What began long ago as a pursuit to enhance people’s vision was infected by a diehard love for mountaineering and the result is a multi-sport company that sculpts eyewear for everyone from elite athletes to mainstream outdoor enthusiasts. 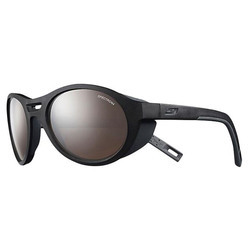 Pick any pair of shades and you’ll quickly understand Julbo’s commitment to developing a line of sunglasses that includes both world-renowned quality and a daring sense of style. 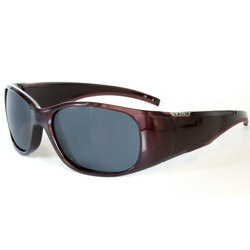 Take the Julbo Explorer XL Sunglasses for example. These prime specimens feature the impressive polycarbonate Alti Spectron 4 Lens which gives you 95% visible light reduction in order to deliver supreme protection from high-altitude sun and glare while ascending snowy peaks. The Julbo Run Sunglasses are in a category all their own. 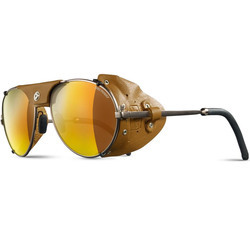 Lightweight and tough enough to stand up to all kinds of punishment, these shades include a photochromic polarized lens that adjusts to different types of lighting. A massive field of vision and perfect fit make this the ideal choice for runners and cyclers. Get ready for the ultimate eyewear experience with the Women’s Bioavista and Whoops Sunglasses. 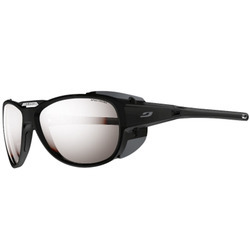 NXT anti-fog lenses, smart light transmission, and a snug wrap-around design highlight the performance-driven Whoops. The do-it-all Bioavista shades stay where you put them thanks to the no-slip rubber arm pads. Go backpacking, hit the slopes on a sunny day, or snowshoe your way across the tundra, but just know you are going to look good doing it with the Bioavista Sunglasses. If skiing or snowboarding is your forte, Julbo has the goggles to let you maximize your time on the hill so you can shred to your fullest potential. 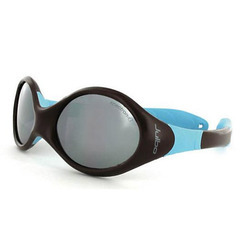 Versatility reigns supreme with models like the Julbo Revolution Zebra Goggle. 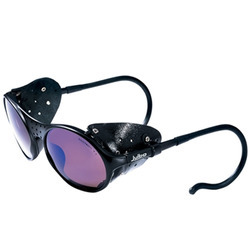 Ultimate comfort, anti-fogging, and airflow are only the backup singers to what makes these goggles so special. The main event is the Zebra photochromic cylindrical lens that is programmed to instantly lighten or darken depending on your surroundings and the intensity of the sun and its glare. 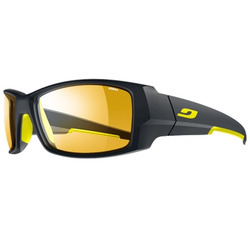 Nobody has been around perfecting athletic eyewear longer than Julbo. Their insistence upon flawlessness has extreme outdoor enthusiasts everywhere demanding that their face be graced by Julbo.